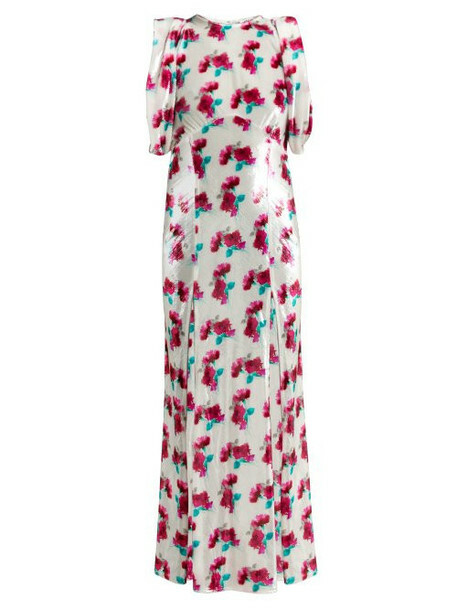 Attico - Attico brings nostalgic glamour to this white floral-print dress, which is a contemporary nod to 1930s silhouettes. Crafted in Italy from a lustrous velvet that shimmers in the light, it is cut on the bias to pour over the body and features draped arm holes and an off-centre front split. Wear it with pink mules to accentuate the flower motifs and underscore the sense of romance.